Chester Gunn was apparently a man of many interests. Born on the east coast in 1843, he’d come with his family as a child to northern California. He trained as a machinist up there and then in the mid-1860s got involved in the mining industry in Nevada. 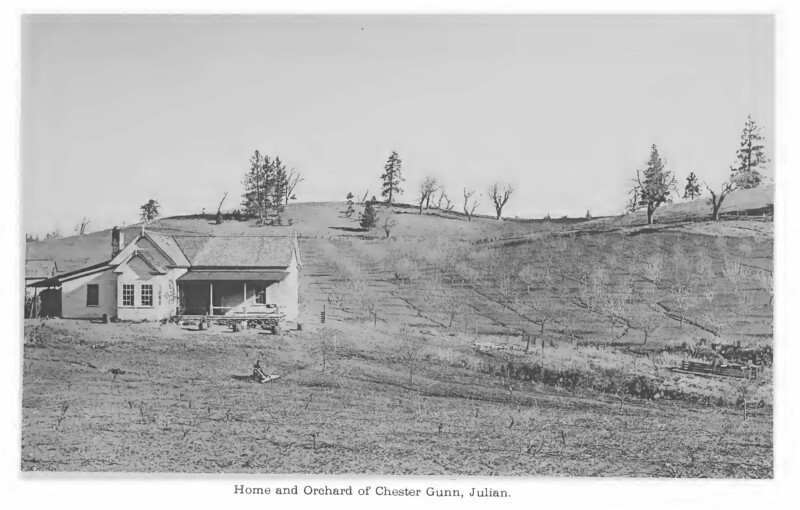 Around 1869, he came to San Diego County, eventually settling in Julian, then a developing mining district. Gunn found time as well to serve the public as deputy county assessor and county supervisor in a long and varied life before his death in 1928. ← See the San Diego History Seeker Live!